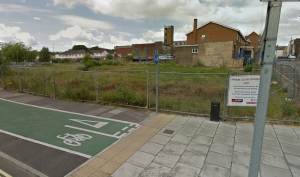 Development and at Coppins Bridge in Newport …..derelict for years. Some are worried that with a fixed link, property prices will inflate. PRO-LINK believe this is true, yes… they more than likely will. However, to engineer low house prices through purposely creating an area of low employment, deprivation and unattractiveness, can be considered dangerous. Once an area becomes an attractive place to live and visit, jobs will be created. These jobs will not be just the seasonal jobs that are predominantly presently on offer, but full time career posts that demand educated, qualified workers with a wage that suits. Once an area becomes easy to access for inward investment…. new business, recruitment and wages will increase. It is these full time jobs that govern the ability to sustain a dwelling mortgage. Wages will increase along with the house prices and the ability to get a mortgage will become realistic and affordable. The housing stock will improve along with increased property values. At present there is unattractive derelict land islandwide that is not developed, due to the low values of new build properties when compared to the build costs that need to incorporate the latest building regulations. 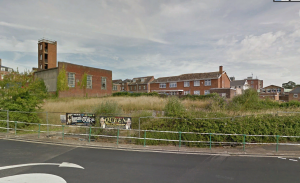 “Coppins Bridge” roundabout in Newport for one example, has been left derelict opposite the cinema complex for over a decade. If house prices can come in to line with the South mainland, the housing stock on the island will become more attractive in appearance as people look to make better builds and also viable worthwhile improvements to them. In turn, builders and merchants will be busy too. Some towns such as Cowes, Yarmouth, Bembridge and Seaview have been seen by second home owners as cheap offerings, purely to use during the school holiday periods in the summer. These can become ghost towns in the winter where little opportunities for year round retail shops to continue, are presented. A fixed link would make these properties easier to reach for quicker trips for the owners which could hopefully see a resurgence of trade in the winter months also. Those renting will find that wage increases and better job availability will offset any increased monthly payments. Those on benefits will still have the ability to claim an allowance according to the market rent of that area. If rents increase, so too does the allowed market rent claimable. There will be no need to live in a depressed area just because you are unable to find work. Hotels will be upgraded or renewed with owners knowing customers will come to the island easily. Home owners on the island who wish to relocate to the mainland perhaps for job or personal reasons, are presented with a big problem. Similar sized and quality of houses are on average roughly 20% or so higher priced than the Island. When relocating it can be difficult to house a family in a suitable sized house. House price parity on the island will overcome this. The elderly who live on the mainland and wish to retire, consider the island an ideal spot due to properties being for sale at 25% on average less. It has been an attractive proposition to sell on the mainland, buy on the island and invest the 25% equity release to live on. This is contributory to the increased island’s elderly demographic…. the highest in the country. Ongoing social care implications are costly to the authorities / local taxpayers. 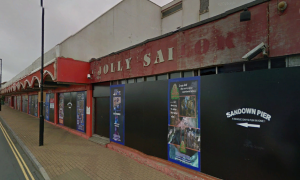 Derelict attractions will be afforded renewals and updates with a higher visitor footfall. Hotels in seaside towns could extend their seasons, taking advantage of the now more popular short breaks with easy and quick access with a fixed link which is impossible with the unreliable time consuming ferry option. This in turn will raise the value of hotel and tourist accommodation which will allow the owners to upgrade and improve those facilities. 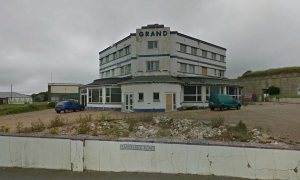 Some derelict hotels will have viability to be replaced with up to date modern facilities. This in turn will create exponential attraction to tourists who will be able to enjoy our incredible scenery and beaches…and eventually as trade builds, top attractions.